Tickets: $20 for members, $30 for nonmembers. After last April’s two great shows, the 2014 tour continues with two new dates next weekend: come and see them on Friday at Cambridge, MA and Saturday at Pawtucket, RI. Also, a very cool event next Sunday: at the Jacob Burns Film Center, Pleasantville (NY) the band will play after the screening of “Something Wild” (1986) in celebration of the director Jonathan Demme. The band will play as usual at Maxwell’s, Hoboken NJ beginning of July: only a few tickets left for the 4th of July show, whereas July 5th and 6th are sold out, so hurry up! Especially because these shows will be somehow special: after more than 30 years the Maxwell’s will close down at the end of July. So sad, really. The club has been the home for the Feelies for so many years, since the beginning. And all the fans who had the chance to see the band playing there have great memories. So don’t miss these shows! You can read about the great history of this club in a very nice article by Jim DeRogatis. 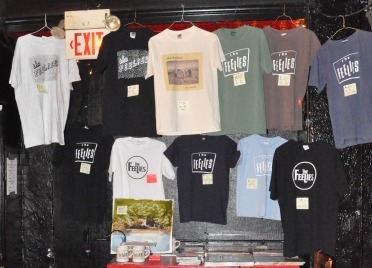 Five, that’s the number of encores the Feelies played at the Ottobar on March 23rd. And here you can read an enthusiastic article from the local press. at the 9:30 Club, Washington, DC! New dates added to the Tour 2013 in April and May! Wednesday March 27th, 2013 9:30 Club, Washington, D.C. The Yung Wu to play live on January, 19th at BSP Lounge, Kingston, NY! 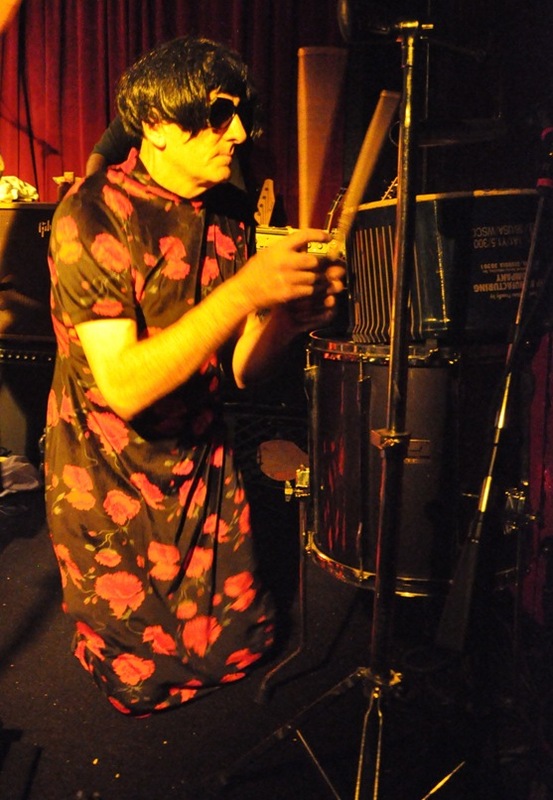 On the same night will also play East of Venus (featuring Glenn and Stan with Mike Carlucci on guitar and Rob Norris on the bass) and Brenda’s Wild Carnation. 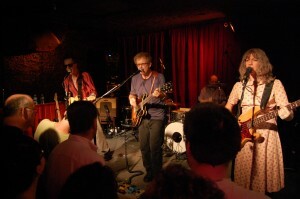 The Feelies played live at Maxwell’s for the traditional Yo La Tengo’s Hanukkah celebration: night #3 (of 8) saw the band opening with a short but very intense show (see the tracklist). 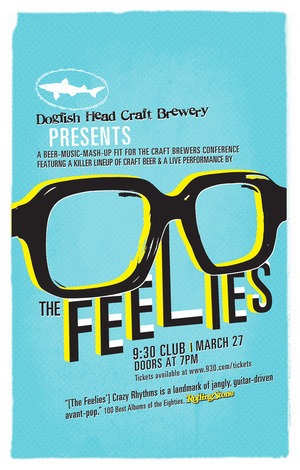 “I said it last night, and I just may say it again tomorrow: Without the Feelies, I can’t really imagine our band being around today. They wanted to contribute in some way to the recovery from Sandy, and really I have no words to describe how it felt to have them spend night three of Hanukkah with us.” wrote Ira on the YLT website. Then Feelies members joined YLT on different tracks: Glenn on Time Fades Away (Neil Young) and Barnaby, Hardly Working; Dave & Stan on Tired Hippo, The Room Got Heavy, False Alarm, The Story of Jazz and Double Dare . And the encores: Brenda sang You Ain’t Goin’ Nowhere (Bob Dylan) backed by Bill on guitar and finally Bill & Glenn joined YLT for an epic 17 minutes version of Sister Ray (Velvet Underground). What a great way to send Hanukkah and Xmas wishes!! Weckerfest II – Boonton, NJ, AUG 18th: don’t miss it!! 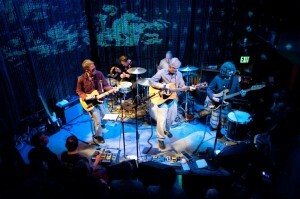 For sure, you’ll have a bunch of friends bringing you great music from Dave Weckerman and more! 21 and over. $10 cover. BYOB. 8:00pm Remember, Canvas Clash is BYO EVERYTHING! No chairs, no kitchen, no bar. Last year some folks brought folding chairs. Make yourself comfortable! Guests will include The Shrubs, John and Toni Baumgartner with Marc Francia, Dan Francia, The New Adult, Hannibal Fishhands, Stan Demeski, Night Brigade, The Moondawgers, and Ed Seifert. Getting ready for the Great Feelies Weekend! Three shows in a row at Maxwell’s: tonight, Saturday and Sunday!